Our mission is to provide women the opportunity to showcase their beauty, intelligence and platform in a fabulous, high energy show that celebrates the unique and diverse women of today. 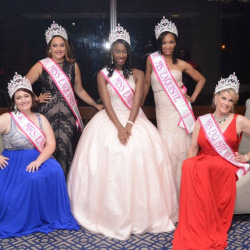 Exquisite International, LLC is an event company that produces beauty pageants for women of all ages, sizes and ethnic groups. Through these pageants we will embrace inner and outer beauty and promote the spirit of volunteerism. Our goal is to present role models armed with self worth and empowerment not only for our younger generation but to all women.